Happy Monday! This week’s edition of STMMS spurred from an instagram photo I took last week. 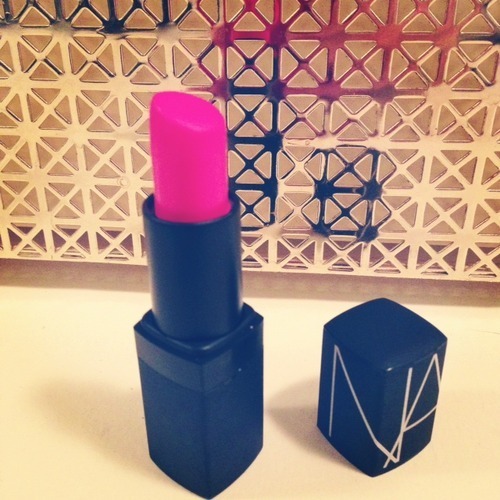 NARS Schiap matte lipstick is my go-to hot pink for any season. I can’t imagine what I’d do without it. The staying power in phenomenal and it doesn’t budge or smudge. My only suggestion it to make sure your lips are exfoliated really well before applying. Since it is a matte lipstick it isn’t as moisturizing as other lipsticks. The last thing you want ruining your look are flaky lips!